Here is how we paid off our mortgage 20 years sooner than we had predicted (so actually less than half the time). When we first bought our house, we knew that it was going to be an exciting, yet daunting task. Moving, finding a trusted mortgage partner to help along the way, etc… By our third move, we had four young kids that we were moving to a new house. It was no easy task! The upside: we were buying the house that we loved. The home-searching process is always fun for me, but the home-buying process is a whole new ballgame. Vetting your needs for a new home can be hard and finding the right lender/partner can be even harder. Mickey worked for a mortgage and insurance company for many years before working from home. I can’t stress enough how important it is to find a mortgage partner that makes you feel financially confident during this move. It’s a big decision in your life. Owning a home is one of the largest financial milestones and with understanding comes confidence. SO… what can you learn as you begin your own home buying journey? Buy low and put in some sweat equity. We are not afraid to “fix up” anything. My husband & dad have made so many improvements to each of our homes (adding porches, building things…) Don’t be afraid to purchase something that isn’t “perfect” – you can make it so much better than you imagined! Pay your mortgage bi-weekly. 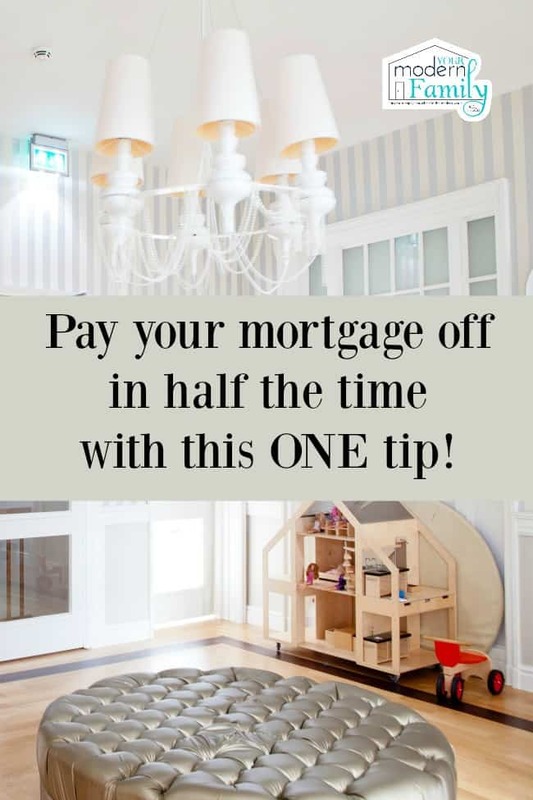 You can set your mortgage up to come out every other week. This alone would pay a house off 8 years sooner, but if you add to the principal, you can pay it off much sooner. Set a goal. Our goal was always to pay off our home before our oldest son went to college, so we could just send that mortgage payment right towards college tuition. We followed the rule of putting all of our extra income towards the house (no new cars, electronic devices or fancy vacations until it was paid off). If you have any extra income (tax returns, etc…) put it towards the principal. We paid our house off over 20 years sooner by doing these things. Ask for advice. When you work with a trusted mortgage partner, you learn new & smarter ways to save. It gives you the confidence to purchase and gives you a great start towards your future!